Campden BRI has invited companies to join a club project to investigate approaches to reduce chlorate levels in agricultural production and processing. The levels of chlorates in crops are of prime importance due to legal limits that are being introduced through EU legislation, the food research station said. 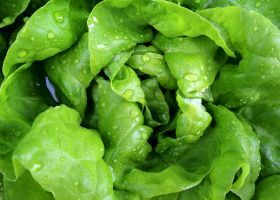 Research suggests that fresh produce can contain chlorates at levels that exceed the new limits, for example when chlorinating solutions have been used at both pre-harvest (irrigation) and post-harvest (washing) stages of production. The project aims to establish the effects of varying chlorinating agents on the chlorate levels of crop types both pre-harvest and post-harvest; identify the use of alternative post-harvest washes that can be used to reduce chlorate levels; and compare the effects of novel/alternative produce washes and rinses that can reduce chlorate levels in leafy salads and other ready-to-eat products. The club will help the fresh produce industry to comply with legislative requirements and will be of interest to growers, produce marketing organisations, processors and retailers, according to Campden BRI. Participating companies have the opportunity to steer the project work, with results shared among the project members. The chlorate club project will begin in June 2018 and run for at least one year.